Now that Michigan has passed the four-game gauntlet that felt the equivalent of fasting for 40 days and 40 nights for Wolverine fans the hope for a Big Ten title is still there. The light at the end of the tunnel is dim, no doubt, but it hasn’t vanished. Sitting two-and-a-half games behind conference leader Indiana (12-2) with a season-ending meeting at Crisler Center means the Wolverines have to take care of business and hope for some help. Taking care of business starts with today’s game against Illinois. Luckily for Michigan, earlier this week it experienced what happens when you relax in Big Ten play and pretty much overlook an opponent so that shouldn’t be an issue today. (If you missed it, Michigan won a nip-and-tuck battle with winless conference doormat Penn State 79-71 despite being 22 1/2-point favorites). The Penn State game was an annoyingly loud wake-up call that will have Michigan on high alert against the Fighting Illini. The last time these teams met Illinois had an early 7-4 lead but never had an advantage after that. It was shortly after that lead Michigan went on an 11-0 run to take control. The Illini got within two on a few occasions late in the half but Michigan never felt threatened and ballooned the lead to 18 at one point before the 74-60 victory at Assembly Hall. How Michigan on was quite simple: The Wolverines shot 52.5 (59.1 percent from inside the arc). That type of shooting efficiency is almost impossible to overcome. Now, the Illini did their part by shooting 6-of-26 from 3-point range (23.1 percent) and turning the ball over 15 times. The game could have been worse if Michigan had any sort of a 3-point arsenal that day. The Wolverines were just 5-for-15 from 3-point range and Trey Burke’s 1-for-5 performance left a lot to be desired (he did finish with 19 points but took 19 shots to get there). The key: 3-point shooting. This may seem recycled but it’s honestly the only key to any Illinois game (except understanding how to guard a late-game inbound pass as to not allow a wide-open, game-winning layup). John Groce has made no secret that he loves an offense centered around the long ball. What he also realized is when the triple isn’t falling his team is in trouble. There’s a pretty noticeable trend in most games: Illinois stunk from 3-point range. Now, Illinois actually played extremely well at Michigan State and had a double-digit second half lead. It was foul trouble and MSU’s efficient second-half shooting (14-of-16 from the field) that gave Illinois a loss. The Purdue game is the one exception. At 10-of-26 Illinois shot 38.5 percent from deep. That’s a recipe for success. There is one glaring problem that you don’t see: The Illini shot 11-of-33 (33 percent) from 2-point range in the game and the result was a 68-61 loss. (Funny thought: Illinois would have won the game had it taken all its shots from 3-point range. It would have resulted in 11 more points and a 72-68 win). The pick: This is a coin flip type of game (ATS) because no one, not even Coach Groce, knows how Illinois will shoot. While Michigan’s 3-point percentage is one of the nation’s best (39.2 percent is 12th in the nation) it is usually pretty close to that number win or lose. Illinois determines its fate by it’s percentage. At 32.8 percent on the season (210th in the nation) Illinois just isn’t successful enough from 3-point range to be consistently great. On the other hand, when a player gets hot (see Paul, Brandon or Richardson, D.J.) the season percentages go out the window. Michigan wins this game, no doubt, but the thought is Illinois, riding a 5-game Big Ten winning streak, gives the Wolverines a scare and keeps the game played within a 9-point margin. Take Illinois +10 with a decent level of confidence. The conference’s other big Sunday showdown is the Spartans-Buckeyes rematch in Columbus. It was interestingly enough noted that for this seems like an odd MSU-OSU matchup because no Big Ten title is on the line. Remember how last season’s final two meeting decided the Big Ten regular season champions (Ohio State won at Michigan State allowing the Buckeyes and Wolverines to share the title with the Spartans) and the Big Ten Tournament title (Michigan State won, 68-64). That doesn’t mean nothing is at stake on this Sunday, of course. At 11-3 in Big Ten play the Spartans are just one game back of Indiana in the Big Ten title race. The Spartans’ best chance at claiming a share of the title is to win out (easier said than done with a trip to Michigan and a home game against Wisconsin after this) and have Indiana slip up at least once (Indiana finishes the regular season at Michigan and also travels to Minnesota and has a visit from Ohio State). The Buckeyes are just a half game out of the No. 4 spot in the Big Ten which would guarantee a first round bye in the Big Ten Tournament. (Yes, the No. 5 seed plays a de facto scrimmage against No. 12 Penn State but it’s still an extra 40 minutes of game time that would force Ohio State to win four games in four days vs. three games in three days to claim the Big Ten Tournament title). Some numbers, especially the efficiency numbers, seem to suggest these teams are mirror images of each other. Maybe overall in terms of offensive and defensive success that’s true but I don’t see the Buckeyes when I watch the Spartans nor do I see the Spartans when I watch the Buckeyes. Sometimes the numbers might lie. I think this is one of those cases. Since the last meeting, a 59-56 MSU win in East Lansing in mid January, the Spartans have improved their offensive efficiency by nearly four points per 100 possessions while clamping down on defense (improved by about a point per 100 possessions). The Buckeyes have been about the same offensively a slightly worse defensively. But, as I stated above, the numbers might make the teams twins but they are hardly built the same. One Big Ten blogger/analyst said without Deshaun Thomas the Buckeyes would be saddled between Nebraska (11th) and Penn State (12th) in the Big Ten standings. It tells you what Thomas means to this team. For what it’s worth, I don’t think the Buckeyes would be that bad (they would have to be better than Northwestern, right?). In fact, I think Ohio State could be, in many ways, better without Thomas. Because he’s the epicenter of the offense he has probably stunted the growth of other players such as Shannon Scott and Lenzelle Smith Jr. The Buckeyes are at their best when Thomas is closer to his 20 points than when he’s Kobeing it and pushing 30 (or more). By surrendering the other 10 points to his teammates the Buckeyes become more well rounded and tougher to defend. The key: Deshaun Thomas. He’s always the key in Buckeye games, but as the Spartans saw in meeting No. 1 there is a reason for that. Thomas scored half (28) of Ohio State’s 56 points in that game. He also took 20 of Ohio State’s 47 shots. No other Buckeye had more than six points. Thomas was so on fire, especially from 3-point range (6-for-11) that Tom Izzo would have used the “foul-up-3″ strategy – something he has never used – on the final possession if Thomas touched the ball. (Thomas never touched the ball and the Spartans won by playing defense and thanks to Scott’s oddly-attempted running 3-pointer). The first 5-8 minutes of the game will be crucial. If the Spartans can use Gary Harris or Branden Dawson (or even the 6-10 Adreian Payne on Thomas and keep him out of rhythm early the Spartans can get some early momentum. Thomas will get going, but if it’s in the early minutes it could be a long day for the Spartans. Thomas got some open looks because of miscommunication the last time out. If he’s forced to shoot over the taller and athletic Payne all night it will force Aaron Craft & Co. to manufacture offense. The pick: I have no clue who wins this game. The Spartans are playing great basketball right now while the Buckeyes seem to be in a little funk and look lost too many times during games. The whole “go with the home team” cliche is the odds-on favorite but no guarantee. Michigan is the Big Ten’s only team with a perfect home record. The Spartans just lost at home to Indiana while the Buckeyes also suffered a home defeat to the Hoosiers. On a neutral site I would take the Spartans. The edge has to go to Ohio State at Value City Arena but like the game in East Lansing this one should be close. That means if you can get Michigan State +3 1/2 you should take it. Even at +3 MSU seems like the wise play. Analysis: The last time these two teams played I said how Purdue needed to win at Northwestern to keep its slim NCAA hopes alive. Purdue was 11-10 at the time and 4-4 in the Big Ten. It still had visits from Michigan State, Michigan and Minnesota and road games against Illinois, Indiana and Wisconsin (read: plenty of opportunities for “show me” victories). Well, Purdue got flogged 75-60 and has won just one game (a 9-point road win at Penn State) since. Of course, Northwestern’s only win since late January is that same game. Both these teams are struggling but Northwestern’s health is on life support. Against mediocre teams at home (Penn State, West Virginia, Iowa) the Boilermakers have found ways to win. I see that happening again today and with Northwestern’s offensive struggles it makes sense to take the Baby Boilers to cover -6 1/2. Analysis: I love Notre Dame at home, but Cincinnati battles until the end regardless of the venue. This game should be close enough that it should be required to take the Bearcats and the points. Here’s a phenomenal stat: In all 27 of Cincinnati’s games the Bearcats have been within four points with under six minutes to play. Like I said, this should be close and that is all the reason to take Cincinnati +3 1/2. Depending on the moneyline you could go with the Bearcats if you’re getting 2/1 odds or better as well. It was a really, really rough day for Keith Appling. 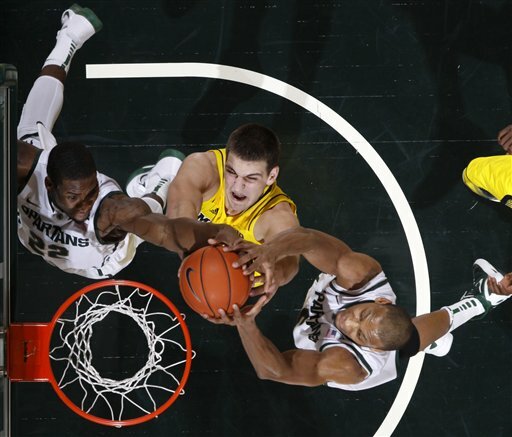 And, when Appling has a rough day - especially on the defensive end - Michigan State struggles. Despite phenemonal defensive games in the post by Adreian Payne and Derrick Nix the Buckeyes were able to control the flow and make plays down the stretch en route to the series-tying victory. If I had broken down each half separately there would be two completely different-looking score sheets. Ohio State scored 43 points in the second half - a rarity against Izzo's halftime-driven adjustments that usually seem to work. However, like the Hoosiers, there is a good chance the Spartans and Buckeyes can meet again in the Big Ten Tournament to settle the score. On the heels of experiencing College GameDay at Notre Dame on Saturday and enjoying Notre Dame's thrilling-yet-improbable 5OT thriller against Louisville with a few Irish graduates and my brother I took a trek to the Breslin Center to examine both the Spartans and Wolverines in person. I knew there was no way this Michigan-MSU clash, despite both teams squaring off ranked in the Top 10 for the first time in the rivalry's 170 meetings, could compete with what I saw in South Bend. In terms of excitement that proved to be correct. In terms of a national championship-type defensive performance it couldn't have been more wrong. The Spartans played what Tom Izzo called their best game in three years and made the Wolverines look like an early-December nonconference foe. I was shocked at how uncomfortable MSU made Michigan look on offense. Heck, the more careful team in the country in terms of turnovers (9.3 per game) had 16 giveaways on the night. On the other hand, Michigan, which wasn't exactly known as a defensively dominant team but was still serviceable, looked incapable of guarding anyone near the paint. It left most Michigan fans in attendance speechless. The Spartans posted their best defensive efficiency mark in Big Ten play (78.9) while the Wolverines posted what is believe to be their worst (113.5). Heck, if only the MSU reserves (we're talking about you, Bella Sibedwo) would have played some defense down the stretch - Michigan finished the game on a 9-1 run against MSU backups - the overall numbers might have been that much more impressive. The only thing that seems fairly certain about Saturday’s game in Madison is that it would be a miracle if the game was played in the 70s. For as efficient as Michigan’s offense is, it still plays at a slower pace and has failed to reach 70 points in four of 10 conference games (That said, Michigan has scored 94 and 95 points, respectively, in a pair of games as well). Wisconsin actually had a stretch of games from Dec. 12 until the beginning of February where it allowed just one opponent – Iowa – to score at least 60 points in a game. The Hawkeyes did it again Wednesday night – needing 2 OT of course – in another home game Wisconsin should have lost but found a way to win. Let’s make one thing clear before even digesting the above numbers: While Michigan plays slow it isn’t the same reason Wisconsin plays slow: The Badgers’ swing offense (although Bo Ryan has actually used a more conventional offense this season with some swing principals incorporated) uses a lot of clock and is a way to exploit mismatches because, quite frankly, Wisconsin isn’t that athletic. Michigan, on the other hand, can really run with any team in the country thanks to uber-athletic players such as Trey Burke, Glenn Robinson III and Tim Hardaway Jr., just to name a few. 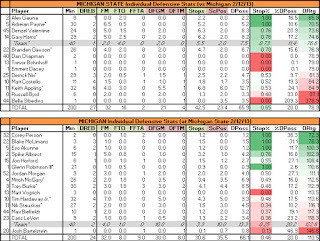 Michigan plays slower because it tries harder than many teams to get undoubtedly the best shot down each trip (except the could-have-been-game-winner against Ohio State at the end of regulation where a time out resulted in Burke dribbling down the clock before heaving a fade-away triple despite being guarded by a big!). Basketball Prospectus’ John Gasaway had an interesting breakdown of how this Wisconsin team isn’t that much different from Bo Ryan’s previous teams. The breakdown compares 2013 to 2012 where, in Big Ten play, Wisconsin’s eFG% (46.5 to 46.7), TO% (15.4 to 15.6) and OR% (31.3 to 29.2) are very similar. In fact, those numbers would lead you to believe Wisconsin should be better offensively in conference play. Except the Badgers (through Jan. 30) were .05 PPP worse. The free throw line is the reason, where Wisconsin had been making just 52 percent of freebies compared to 77 percent last season. That trend undeniable is the reason Wisconsin’s offensive efficiency is at it’s worst clip since a 20-13 season in 2009 (Wisconsin got a 12 seed that year compared to the 4 seed the Badgers have received each of the past three seasons – and not including the No. 3 seed in 2008 and No. 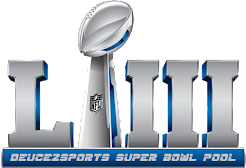 2 seed in 2007). Interestingly enough, the Badgers’ free throw woes might be irrelevant on gameday because Michigan doesn’t foul and Wisconsin doesn’t exactly make it a habit of getting to the foul line. (In fact, Wisconsin didn’t attempt a free throw in a 58-49 loss at Ohio State on Jan. 29 – just the 27th team to do so in the past 10 years). But in a close game down the stretch when attacking the rim is a necessity, if Michigan happens to foul this could be a factor. Wisconsin’s free throw woes, which are at 62.2 percent on the season (329th in the country) aren’t even in the “Top 3 Keys” to the game. I would put those as follows: Michigan’s 3-point offense vs. Wisconsin’s 3-point defense, Wisconsin’s 3-point offense vs. Michigan’s 3-point defense, and Trey Burke vs. Traevon Jackson. Michigan’s 3-point offense vs. Wisconsin’s 3-point defense: Michigan’s 40-percent clip from beyond the arc is 6th in the country. In fact, Michigan is one of six teams shooting 40 percent from 3-point range and 50 percent from 2-point range (Indiana, Duke, Creighton, NC State and Harvard – yes, Harvard, led by former Michigan coach Tommy Amaker – are the others). Just recall how Tim Hardaway Jr. got hot against Ohio State in Michigan’s comeback. On three straight trips he swished a triple and, a few possessions later, canned a fourth. Despite being at 43.1 percent (47-for-109) Hardaway isn’t even the teams’ best long-range shooter. That’s Nik Stauskas who is at 48.7 percent on the year (58-119). GR3 is right at 40 percent (18-45) while Burke “lags” behind at a still stellar 37.9 percent (44-116). 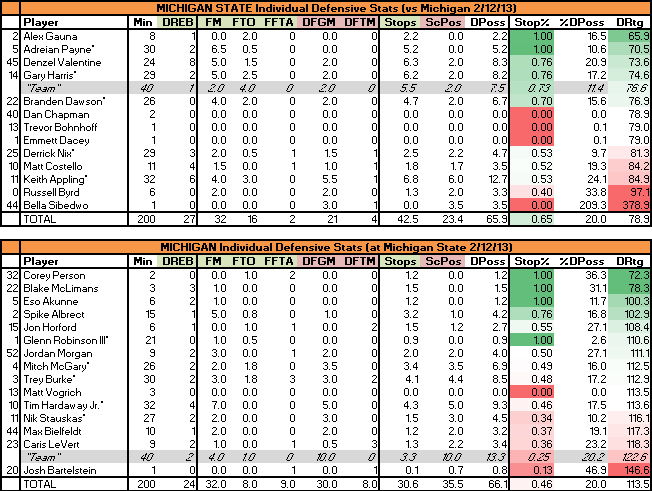 That gives Michigan four starters who kill it from deep to go with the inside presence of Mitch McGary, Jon Horford and, still-not-100-percent Jordan Morgan who do all their work inside. The McGary-Horford-Morgan trio hasn’t attempted a triple all season. Even against an Ohio State team that has been one of the best perimeter defensive teams in the past handful of years Michigan went 14-for-24 from 3-point range. Give Michigan any space (and even that isn’t needed sometimes) and it’s a very lethal way to play defense. Wisconsin, probably because the players are used to defending against 3-balls in daily practices, is in the top 45 of the nation’s better 3-point defenses. Why is Wisconsin so successful defending long bombs? It all starts with switching defenses and high hedges on pick-and-rolls. Against the majority of teams the Badgers are so confident at their defensive rotations that they don’t worry about momentary switches or going the extra few steps to make a point guard’s job that much harder. The key against Michigan will be this: The Wolverines are quicker than most Big Ten teams which means even slight mismatches will be exploited. If Wisconsin hedges hard it allows Burke, who hasn’t been bothered by high hedges that much this season, an easier passing lane to a likely cutting GR3 or Hardaway for an easy bucket. Wisconsin wants to make every possession a grind-it-out one, but doing so might mean picking your poison against Michigan’s 3-point offense. Wisconsin’s 3-point offense vs. Michigan’s 3-point defense: What Wisconsin does almost as good as any team in the country is get open looks for 3-point shooters, especially it’s bigs. The trio of 6-11 Frank Kaminsky, 6-10 Jared Berggren and 6-6 Mike Bruesewitz has attempted 146 triples this season. The problem has been the success rate (47-for-146 is a blah 32.2 percent). It’s the guards (see Jackson who’s off-the-front-of-the-rim-and-off-the-backboard-before-falling 3-pointer with 20 seconds to play against Iowa on Wednesday tied the game and eventually forced overtime) who seem to make the most of open opportunities. Still, as a team Wisconsin’s 34.4 percent from deep is hardly Wisconsin-esque. For a team that attempts roughly 20-25 triples a game that isn’t exactly the formula for a great team. In fact, it’s the formula for a likely double-digit loss team stuck in the 7-10 range on Selection Sunday. Michigan won’t have to change it’s defense all that much to account for Wisconsin’s heavy 3-point offense; instead the Wolverines will just have to make sure quick switches don’t allow the Badgers easy dumpoffs to cutters. 3-point shooting, for both sides, is really the key to this game. 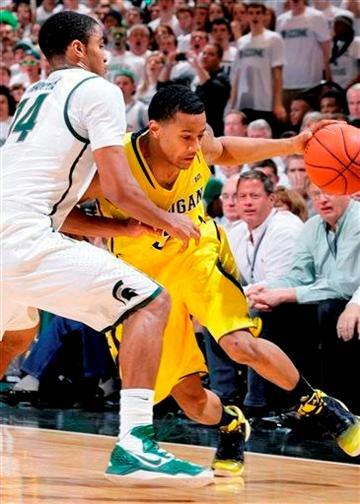 Trey Burke vs. Traevon Jackson: Yeah, I know you’re laughing.It’s like Mike Tyson vs. Buster Douglas. (Oh, see what I did there! Start at the 7-minute mark for the knockout sequence). In all seriousness, that’s kind of what this point guard matchup is like. Burke is a serious contender for national player of the year (He’s No. 1 on Ken Pomeroy’s KPOY rankings) vs. a guy who was going to play this season as a backup point guard before Wisconsin’s Josh Gasser was hurt in the preseason and is out for the year. After going up against Aaron Craft, who should be the national defensive player of the year without question, this should feel like playing against me (I’m 5-5, 130) in a game of one-on-one. Jackson isn’t a great defender and he’s probably worse offensively (87.7 would make him the 41st best player in the SWAC!). Burke should have a field day offensively and some of that greatness could come off his one-on-one defense with the likely-to-struggle offensively Jackson. Expect Burke to have his usual 15-point, 7-assist, 1-or-2-turnover game while being the catalyst for Michigan while Wisconsin tries to survive a 6-point, 3-assist, 3-turnover game from Jackson. The pick: I love Michigan in this spot. After grinding out a win against the Buckeyes – a team that I don’t think is that great but has the number (or close-to number) of many Big Ten foes including Michigan – the Wolverines can see the path to a Big Ten Championship. It still includes a home date with Indiana (9-1 in the Big Ten), a home-and-home with Michigan State (8-2) but that is really it unless Michigan slips in a home-and-home vs. Penn State, home against Illinois or at Purdue. Kenpom has Michigan projected to win every game left but, with three percentages in the 50s (including this game, a 62-60 Michigan victory) the likely outcome is a 14-4 Big Ten record. That should be good enough for a Big Ten championship, but nothing would be sweeter than controlling their own destiny by winning out (16-2 would guarantee a non-shared title). Wisconsin has shown the ability to get rattled at home this season against inferior teams (a loss to Virginia and a should-be loss to Iowa). Michigan doesn’t get rattled in any venue and should not only win this game but do so in fairly convincing fashion (for a low-scoring game). I’m thinking Michigan wins 63-55, easily covering the 1 1/2. That means Michigan will be your new No. 1 and will have to defend that ranking Tuesday night at Michigan State. Analysis: One of the more surprising teams in the country is Iowa. The 14-9 Hawkeyes (3-7 Big Ten) are 33rd in Kenpom’s rankings. He has Iowa projected to finish 8-10 in Big Ten play, which would mean a 19-12 record heading into the Big Ten Tournament. Is this a team that could crash the Big Dance as one of those last few teams in? Well, it all depends. Right now Iowa’s biggest win is at home against Wisconsin. Other big Ten wins (at Northwestern and vs. Penn State) are pretty much useless in terms of NCAA talk. So too is a future home-and-home with Nebraska, home games with Northwestern and Purdue and a trip to Happy Valley to face Penn State again. That’s why Wednesday’s loss at Wisconsin was so crippling in many ways. Iowa’s chances for a “big” regular season win are now down to this: Feb. 17 vs. Minnesota, March 2 at Indiana and March 5 vs. Illinois. Realistically it would appear Iowa has to beat two of the three (Minnesota and Illinois seems like the likeliest of combos; a win against Indiana in Bloomington would go a long way to putting Iowa in the field). So, what does all this have to do with Iowa’s game against Northwestern? Not much, except that Iowa has big dreams and games like this one are high-risk, no-reward contests. Iowa should win and should do so easily. Iowa whipped Northwestern 70-50 on the road early in conference play – that was coming off a three-game-losing-stretch of facing Indiana, Michigan and Michigan State. Expect a similar double-digit win from the Hawkeyes making it a given to lay the 8 points. Analysis: Attention trap-game believers, here you go. The Spartans are likely to face a Top-5 Michigan team next week and are coming off a grind-it-out 61-50 win against Minnesota (56 possessions!) on Wednesday. Playing at Purdue’s Mackey Arena is always tough, even when Purdue is “down” as it is this season. Still, Purdue played Michigan State tough earlier this season (the game was tied at 38 with 16:34 to play before Michigan State hit another gear for the final 16 minutes to win 84-61). I would expect the Spartans to win a close game but wouldn’t be surprised at all if Purdue pulls the upset. Therefore, take Purdue +4 points knowing the Boilermakers very well could win outright. Analysis: Unless you attend Nebraska or Penn State or have a child playing in the game you’re very unlikely to watch this game (heck, even some parents might not watch this game). Penn State is awful this year and has a good case to be the country’s best “BCS bottomfeeder.” (You be the judge: Is Penn State worse than the SEC’s Mississippi State, the Big East’s DePaul, the ACC’s Wake Forest, the Pac 12′s Utah, the Big 12′s Texas Tech?) Nebraska isn’t a basketball school but you have to be impressed watching Tim Miles’ team compete, especially at home. I like Nebraska to win big here, easily covering the 6-point spread. Analysis: On Thursday we finally got to see Indiana’s first real road test of the season. The Hoosiers, for the most part, looked like they were playing at their own Assembly Hall in building and playing with a comfortable double-digit lead for much of the game. Then, in the closing minutes, Indiana choked. The offensive game plan resembled garbage and defensive breakdowns allowed Illinois to hit crucial 3-pointers. A historic defensive gaff on the final inbounds play with 0.9 second left gave Illinois the shocking victory. The road only gets tougher as, after this game, Indiana still has to visit Michigan State (Feb. 19), Minnesota (Feb. 26) and Michigan (March 10) so the road to a Big Ten title definitely has some hurdles. As I stated before, I think Ohio State is a good team, but it’s more like the Ohio State Thomas’ than anything else. Everyone now and then it looks like a fairly well-rounded team but when Thomas is about 50 percent of the offense it’s tough to seriously consider a squad Top 10 material. That being said, Ohio State doesn’t lose to bad teams (Duke, Kansas, Michigan State, Michigan, Illinois), it just has trouble with really good teams. (Illinois was 13-2 and playing like a NCAA Tournament lock in early January and, as mentioned above, did just dethrone the No. 1 team). This game comes down to if Ohio State can get easy buckets off Indiana turnovers because I think Indiana’s offense is good enough to break down OSU’s defense. Plus, it would be shocking if Victor Oladipo had any assignment other than to stop Deshaun Thomas for 40 minutes (unless minutes here and there making life miserable for Aaron Craft is on Tom Crean’s wish list). I like Indiana here in a major bounce-back spot. Take Indiana unless the Hoosiers are giving more than three points. Analysis: This game got a lot more interesting after Illinois’ 74-72 victory vs. Indiana on Thursday. The Fighting Illini finally have a recent notable win to go with early-season wins over Butler, at Gonzaga and vs Ohio State. As the world saw on Thursday this team lives and dies by the three. When the shots are falling, especially since Illinois fires shots at an alarming rate. More than 40 percent of Illinois’ field goal attempts are from deep. I suspect that Illinois will have to make plenty of 3s to stay in this game. Minnesota should win, but look for Illinois to make it another Big Ten classic by covering the spread as long as it’s above 3 1/2 points. *Sunday lines won’t be released until late Saturday so these are estimates. Analysis: If you know anything about Notre Dame basketball… congratulations. The Irish program has been a very solid under-the-radar program under Mike Brey. It’s not great, but it’s always solid, especially at home. ESPN’s College GameDay sets up in South Bend on Saturday meaning the place will be rocking much more than normal. It’s almost a foregone conclusion that Louisville will be expected to win (and picked to win by most experts not named Digger Phelps). However, not only am I expecting Notre Dame to cover I’m expecting Notre Dame to win (maybe even going away!). I’ll have a first-hand look at this one as I’ll be attending the game with my brother and two friends who are both Notre Dame graduates. Will make for a fun weekend, especially when I take Notre Dame with the 5 1/2 points.